Granite countertops are some of the most commonly selected in remodeled homes, and with good reason. Granite countertops are 100% natural, and as such, each piece is completely unique. Typically, granite is also heavily veined, making it among the most distinctive materials you can choose. Keep in mind, though, that since it is naturally occurring, material selection is also naturally limited to about twenty different types. Granite resists heat, staining, and scratching. It is durable and strong, but it does require proper care to maintain its integrity. Granite must be properly sealed (and occasionally resealed) to keep it from becoming porous. If it isn’t, it will quickly serve as a host for bacteria and also more easily accept staining. Marble is commonly regarded as one of the most luxurious and stately of materials, partially because of its kinship with classic art and affluence, and partially because it is one of the more costly materials on the market. Since marble is quarried, each slab is unique. To further accentuate your piece’s uniqueness, you can also opt for a matte, polished, or leather finish, each of which lends to a specific style. Marble is hard and heat resistant, and it also offers incomparable elegance that pairs well with both classic and modern décor. On the down side, marble does require maintenance. It must be resealed annually and cleaned regularly. It will degrade when exposed to acidic substances and also scratches fairly easily. So if you have cultivated a habit of being careful and conscientious with your kitchen, it can be one of the best material options. Quartz countertops are increasingly popular, largely because of the wide variety of color and grain options available. Quartz countertops are composed of 93% natural rock and 7% binding and pigment, so their color and pattern options are nearly limitless. Quartz is also incredibly easy to care for. It is non-porous, so it doesn’t require a sealant, and it is stain resistant, scratch resistant, mostly heat resistant, and very durable. Keep in mind, though, that granite is a little more heat resistant than quartz, and that quartz countertops that are exposed to direct sunlight over a long period of time will eventually fade, warp, and crack. 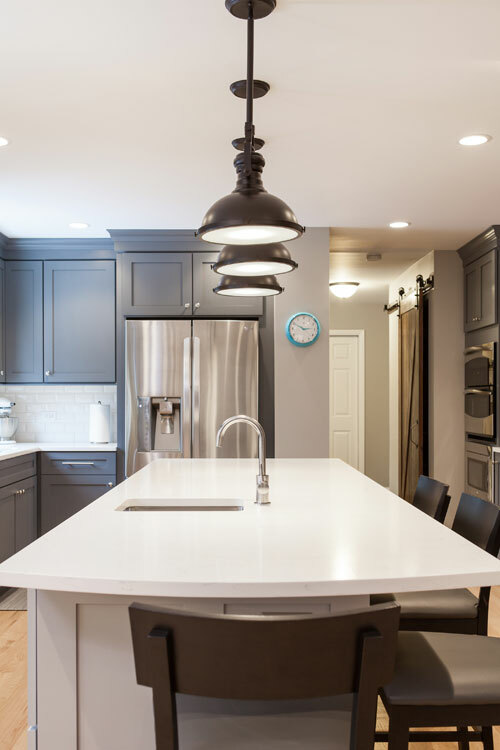 While granite, marble, and quartz are among the most commonly selected countertop materials, there are numerous options you can use in your kitchen remodel. For a more comprehensive list of countertop materials, along with descriptions of the pros and cons of each, visit Countertop Guides’ page on countertop materials. Every countertop comes with its own set of advantages and disadvantages, so finding the right material for your home should be less about trying to identify an objective “best” and more about knowing what you can and can’t live with in terms of functionality and what you want to live with in terms of looks. 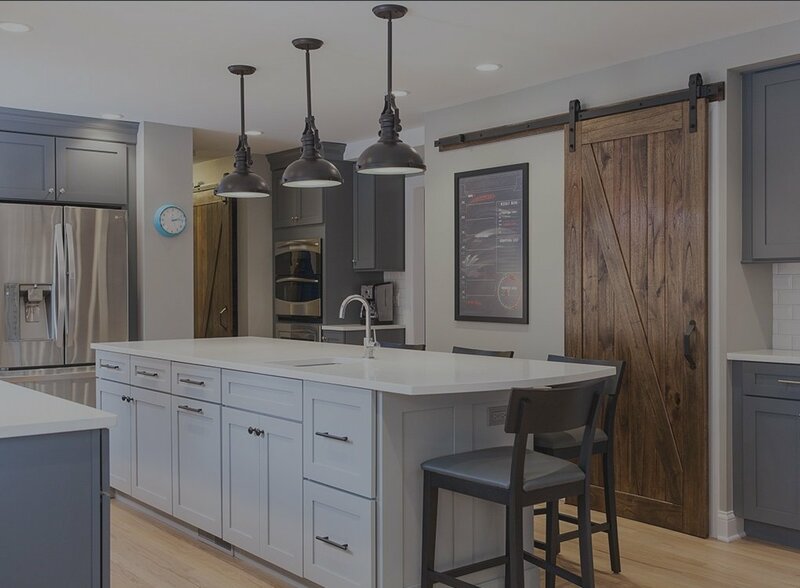 If you’re attracted to a certain look but aren’t sure whether it matches the design elements your kitchen already has in play, be sure to consult a remodeling company that can offer design consultation as well as quality construction work for your kitchen remodel.